Today I traveled to Boston, Massachusetts by the way of The Yankee dated April 22, 1814. 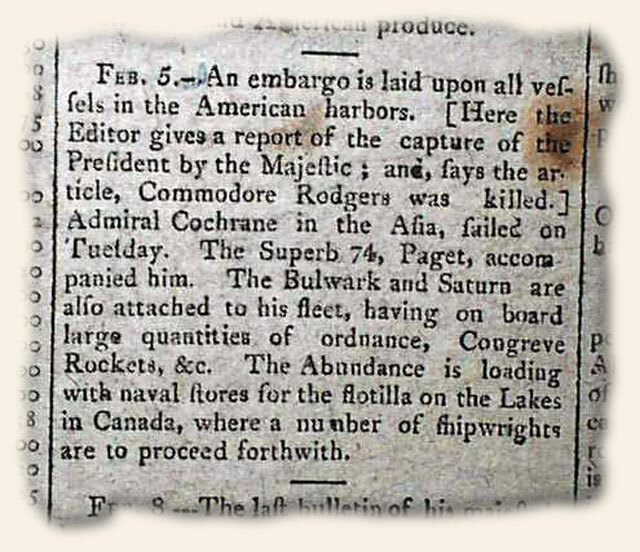 There I found an article on an embargo of vessels in the American harbors. 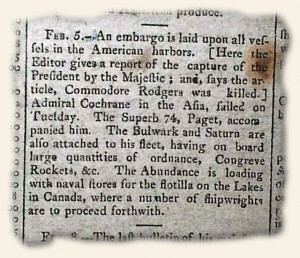 This also included “…[Here the Editor gives a report of the capture of the President by the Majestic; and, says the article, Commodore Rodgers was killed. ]…” Considering he died on August 1, 1838, I would say that this was a premature reporting of his death!